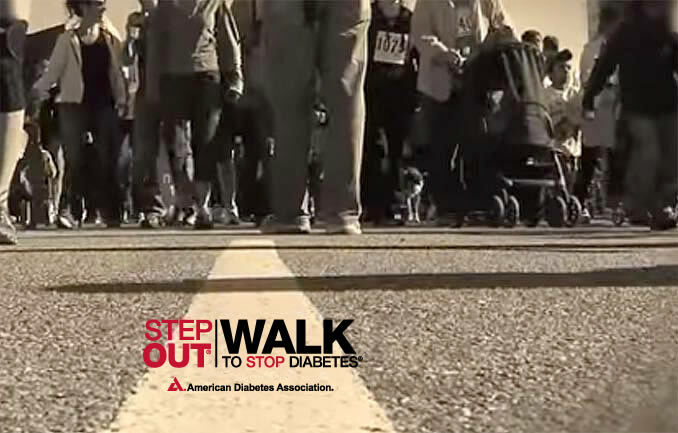 Since 1991, Step Out: Walk to Stop Diabetes® events have raised funds for the American Diabetes Association. The Red Strider program celebrates walkers who live with diabetes. For our 75th anniversary, the American Diabetes Association is honoring decades of progress in diabetes treatment, management and quality of life, and our role in these advancements. For nearly 25 years, we have held Step Out: Walk to Stop Diabetes® and Tour de Cure® in communities across the country. Together these signature events raised more than $30 million in 2014 to support our mission. Just as importantly, our walks and rides promote physical activity and celebrate people who live with diabetes—our Red Striders and Red Riders, who receive VIP treatment at the events. Throughout 2015, the Association will create greater awareness of the seriousness of diabetes by acknowledging past discovery and improvement, while focusing on work that still needs to be accomplished. Join us to celebrate and to help Stop Diabetes®. The Association was founded by 26 physicians when it got underway 75 years ago. It remained an organization for health care professionals during its first 30 years. In 1970, the Association welcomed general members. And in the years since, it has grown to include a network of more than 1 million volunteers. Yet diabetes has proven a stubborn foe. To learn more and travel through some of the major milestones, click through this timeline of accomplishments celebrating discovery, innovation and progress. To learn more and get involved with your local communities efforts to help Stop Diabetes, sign up to ride, walk or volunteer with us in one of our signature events. Your involvement brings us one day closer to a world without diabetes. So act now.